Being an attorney in the New York City area comes with a variety of accounting challenges, especially since Manhattan law firms are part of the fast-paced NYC financial ecosystem. 212 Tax specializes in bringing legal professionals peace of mind regarding their bookkeeping, payroll, tax return preparation and other accounting services. Another great benefit to working with a professional team of CPAs like 212 Tax is the ability to obtain quick advice on a host of accounting issues for your clients. We’ve found that the legal and accounting sectors dovetail into each other to a certain degree and having a source for expert guidance on tax and incorporation issues can really help push your practice to the next level while adding value for the people, companies and/or institutions you represent. When it comes to nuanced industry-specific accounting questions and services, we’ve got you covered. We’re able to increase operating efficiency, improve cost containment strategies and maximize the collection of receivables for our customers through billing support, fee schedule negotiations with payers, developing financial controls, management reporting, and operational policy reviews. Many of our clients in the legal profession have instituted more accurate financial reporting and begun successfully monitoring their overhead with the help of 212 Tax. 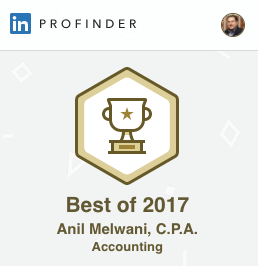 Contact Manhattan CPA, Anil Melwani, to learn more about what 212 Tax can do for you.